On the heels of an 11-month hiatus, Revolution Fight Series returned on March 24th to provide combat sports fans in the Shenandoah Valley with their first taste of RFS action since April of 2017. 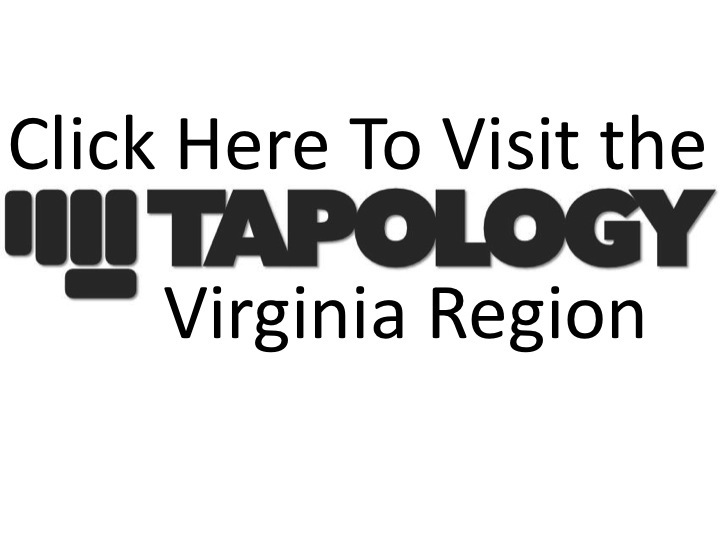 This was the first time that mixed martial arts had been held in Shenadoah County and excited fight fans filled the confines of the Signal Knob Recreation Center, in Strasburg, Virginia. The night saw 5 amateur MMA bouts, 2 amateur Muay Thai bouts and a round robin, team youth wrestling tournament. In the first and most competitive bout of the night, the Winchester Jiu Jitsu Academy’s Corbin Sipe squared off against Evan Daniel in a back and forth battle that went all three rounds and ended in a split decision. MMA in VA’s unofficial scorecard had Sipe winning the first round, by way of two takedowns. Sipe also appeared to have the better cardio, early. Round 2 went to Daniel, who capitalized on a missed shot by Sipe and controlled Sipe for the better portion of the round. Round 3 was going Daniel’s way, via the striking game, but a late takedown by Sipe looked to be enough to secure him the round and the split decision victory in a razor close fight. Bout 2 pitted The Winchester Jiu Jitsu Academy’s Michael Capone, a Strasburg native, against Baltimore BJJ’s Robin Paguia. This was a bout where many felt Capone would have everything on his side, as he was taking on a fighter who hadn’t fought in almost 5 years and fighting him on home turf. Well, I guess that's why fights aren’t fought on paper. Team Paguia had the largest fan presence of the night, shadowing Capone’s support structure, and spanned the entirety of one of the walls of the recreation center and cheered their fighter on to a dominant decision victory. Paguia was the total package in the fight, showing superior power, speed and technique over Capone. Paguia scored, unofficially, 6 takedowns in the fight and just appeared to be one step ahead of Capone for most of the fight. Capone did have his moments in the 3rd round, as he scored two takedowns. He ultimately lost a dominant position, though, as he went for a toe hold and ended up getting mounted. The judges saw all three rounds for Paguia, 30-27. The first title fight of the night was for the vacant men’s flyweight belt, where Elliott Strickland, aka Vincent Striker, took on Jeff Mickley. The longer, rangier, Strickland pushed the pace for the first two rounds with both rounds going to him, on the MMA in VA scorecard. In the 3rd, Strickland secured Mickley’s back and sunk in a rear-naked choke, at the 2:04 mark, to secure his third straight submission victory and 2nd title belt in two fights. The most emotion rich bout of the night was a rematch between The Winchester Jiu Jitsu Academy’s Kelsey Gilmore and Maryland fighter, Jonna Wood. These two fighters battled to a controversial split decision, six weeks prior. Leading up to the fight, there was tragedy out of the Wood camp, as Jonna’s coach’s house, where she resides, was destroyed by fire, just two days prior to the fight. With the recent emotion from the tragedy, coupled with six weeks of anticipation for the re-match, a fired up Wood made her way to the cage. Wood yelled at the stoic Gilmore, already in the cage, while being checked in and continued the brash exchanges once in the cage. That emotion was to be expected. What was a bit disheartening was Wood’s coach also screaming insults at his fighter’s opponent from across the cage. Not a good look. Gilmore, however, did not engage and remained calm and just readied for the battle that would ensue. When the bell rang, both fighters ran to the center of the cage, looking to stake claim to the fight and the flyweight title belt, and exchanged bombs from the beginning. Gilmore seemed to get off a higher volume of strikes and was doing a great job of mixing in her kicks and her knees and really working on Wood’s lead leg with inside leg kicks. Gilmore took the first round and did more of the same in the second round. Wood, trying to slow the momentum of Gilmore, tried many times to clinch and get “Shortcake” against the cage. Unfortunately for Wood, every attempt would be met with a knee from Gilmore and a disappearing act, off the cage and out of danger, that would make David Copperfield proud. Fatigue began to really sent in for Wood in the 2nd and by the 3rd round she had nothing left and was ultimately just picked apart by the volume of Gilmore's strikes, forcing referee Brian Hiles to step in and waive off the bout at the 1:01 mark of the 3rd. Wood dropped to the canvas and just sat, completely spent, until Gilmore came over and kneeled with her and offered condolences/congratulations, in a show of good sportsmanship. With the win, Gilmore runs her win streak to three in a row. In the feature bout of the night, the big guys were set to test out the durability of the RFS cage, as Tafon Nchukwi of Crazy 88 MMA took on Stephan Tanner for the vacant Heavyweight title. This fight didn’t have the longevity or the drama as many of it’s predecesors. Tanner had been out of action for over 2 years but with his stand-up pedigree was ever dangerous. Nchukwi didn’t give him time to show those skills as he pushed the pressure against Tanner, who seemed to be sitting back waiting for an opening to deliver one big strike. In a lightning fast exchange, Nchukwi rushed Tanner, landed a left to the body and followed it immediately with a right low kick, sending Tanner stumbling, then landed a fight ending punch that crumbled Tanner to the mat. The fight was called at the 1:22 mark, by TKO, for The Cameroon Express, Tafon Nchukwi. Revolution Fight Series will return to Strasburg on May 1th for RFS 21. For complete event results, check out the RFS 20 event page, on Tapology.